Value Proposition - Giant King Grass is the cheapest green and renewable alternative to coal to produce electricity and to oil to produce liquid biofuels. VIASPACE Green Energy Inc. and its partners grow Giant King Grass, a dedicated, renewable, nonfood, low carbon, and extremely high yield perennial crop, and use it for producing clean energy and other green products. Giant King Grass Plantation & Factory. Giant King Grass has multiple applications. It is a renewable, low-carbon substitute for coal which is primarily burned in power plants to produce electricity. It is also a feedstock for producing second-generation liquid bio-fuels (known as Grassoline), including cellulosic ethanol, to replace gasoline for transportation vehicles, and a feedstock for anaerobic bio-digesters to produce bio-methane or natural gas. Giant King Grass can also replace petroleum in the manufacturing of biochemicals, biomaterials and bio plastics. 30 MW biomass power plant in Africa together with a 3700 acre Giant King Grass plantation. Provides jobs for farmers and power plant operators, and clean, renewable electricity for several hundred thousand people. Power plant and plantation are owned by a third party. VIASPACE Green Energy establishes the crop and guarantees its production, and for that, it is paid an establishment fee and an annual license fee based on output. 3 MW biogas electricity plant in Southeast Asia with a 520 acre Giant King Grass plantation for a specific company that needs both electricity and heat for its manufacturing. Joint venture to establish a 5000 acre Giant King Grass plantation to manufacture and export 20,000 tons per month of Giant King Grass energy pellets to a European utility company with a coal-fired power plant that needs to reduce its carbon emissions by co-firing biomass. In addition to establishing the crop, VIASPACE Green Energy could be an equity partner. Biofuel refinery co-located with Giant King Grass plantation to produce cellulosic ethanol or bio diesel. Existing biomass power plant in India that uses agricultural waste as fuel which has become too expensive and unreliable. Owner wants to convert to Giant King Grass for a reliable fuel supply at a known price. Giant King Grass plantation in the Americas to provide up to 50% of the fuel for a planned biomass power plant that requires a dedicated energy crop fuel source in addition to using wood waste. The Giant King Grass business model is scalable because all of the potential applications described above can be replicated in any area of the world where Giant King Grass can be grown. The World Wildlife Foundation estimates that between 250 and 800 million hectares (618-1976 million acres) worldwide of additional agricultural land "could be brought into production without encroaching upon areas of high ecological or social value". This is 17%-53% of the total world cropland today. 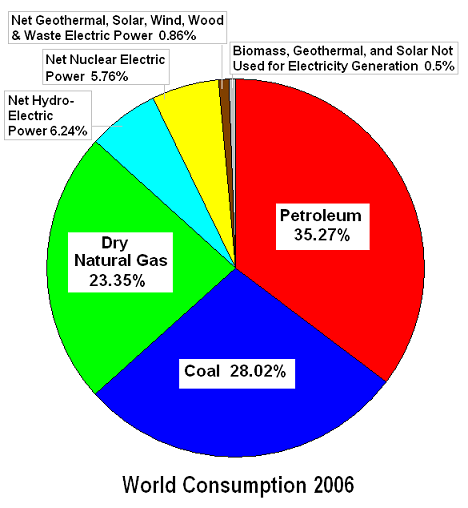 The total world energy use in 2007 was 495 Quad of which 132 Quad came from coal and 175 Quad from oil. With Giant King Grass's high yield, it would only take a 5% increase in world cropland to produce the energy needed to replace all coal being used in the world. This is 76 million hectares (188 million acres) and the land is available now without impacting agriculture orecology. For reference, this is equivalent to 9% of the size of Brazil, 8% of the US, 41% the size of Indonesia, or about the size of Zambia in Africa. It is a large amount of land, but it does not have to be in one place and can be distributed around the world. Solar and wind energy will also be able to contribute to replacing coal for electricity generation, but biomass will be the largest major contributor. Locally grown biomass will be an important source of employment for farmers and allow rural and developing countries to be energy self-sufficient. Replacing all of the petroleum used for gasoline and diesel fuel production with cellulosic ethanol from Giant King Grass would only take a 9% increase in world cropland. Petroleum use and transportation is currently 93 million Quad per year, and it is assumed that ethanol production is to be 85 gallons per ton of Giant King Grass. A 5% increase or 9% increase in world cropland is not unreasonable and would be accomplished over many years. Giant King Grass can grow well on land that is not currently used for agriculture. However these land estimates depend on the extremely high yield of Giant King Grass compared to another crop with 10 times less yield which would require 10 times more land and would not be feasible. This theoretical discussion shows that land availability is not a critical issue and that high-yield crops are necessary for efficient use of the land. Addressable Revenue - Even though there is enough land in the world to grow the 188 million acres of Giant King Grass that could completely eliminate the need for coal and these 188 million acres could generate more than $300 billion dollars per year in revenue, it is not realistic to think that this could be done in the near future. However it is reasonable to think that 1% of the land (1.88 million acres) could be planted with Giant King Grass in the short-term and generate $3.0 billion in clean energy annual revenue within the next five years. For reference, approximately $300 billion per year is spent worldwide on coal each year. Replacing 1% of gasoline and diesel fuel with clean biofuels made from Giant King Grass would generate an additional $6 billion in annual grass revenue. Giant King Grass is unique and not available elsewhere. Because of its high yield, it is much lower in cost than other alternatives, and this is the attraction to customers. The company's initial strategy is to only partner with or supply seedlings to companies that have a specific near-term need for large quantities of biomass such as a power plant, pellet mill or biogas facility. These customers are investing millions of dollars into power or biofuel plants that have a 20 year lifetime. They need a 20 year supply agreement for fuel or feedstock. 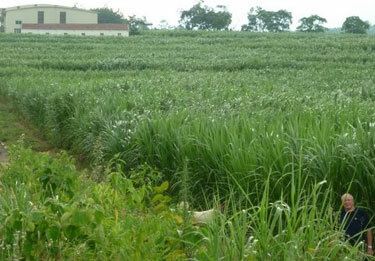 A dedicated Giant King Grass plantation gives them a reliable supply at a known and affordable price. It is difficult or impossible to get bank financing for their projects without an assured fuel supply. Giant King Grass as a dedicated energy crop meets the major need of the biomass industry-- consistent supply of fuel/feedstock. At a minimum, VIASPACE Green Energy is paid to provide the initial seedlings, train the partner's staff and assure that the Giant King Grass is growing well. In addition, the company is paid an annual license fee based on the output of perennial Giant King Grass. Giant King Grass is planted once and then regrows after every harvest for many years. VIASPACE Green Energy has extensive analysis to demonstrate that using Giant King Grass saves the customer money compared to using another lower cost but lower yielding alternative. A crop that has half the yield needs twice as much land, more workers and more fertilizer can end up costing twice as much per ton than Giant King Grass. In other projects, VIASPACE Green Energy may enter into or lead joint ventures to develop energy projects and have an equity stake in the power plant or pellet mill. Joint ventures are important for rapid global expansion. Local partners have land and business experience in their home countries, and VIASPACE Green Energy can bring the energy crop, customers and power plant/pellet mill expertise that they desire. To be able to support large energy projects, VIASPACE Green Energy needs to have enough Giant King Grass seedlings to plant several 3700 acre plantations in a short time. To do this, the company has established plantations and nurseries totaling 280 acres (113 hectares) in Guangdong province in China. In addition to a source of seedlings for new projects, these plantations allow the company to demonstrate Giant King Grass cultivation to potential customers and provide them samples for analysis and testing. Additionally, the plantation produces thousands of tons of Giant King Grass each year which is used to produce Green Logs (the companies own brand product) in the factory built on the plantation land. 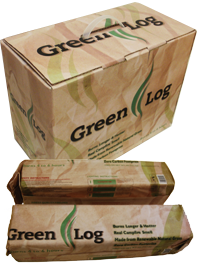 In May 2010, VIASPACE Green Energy announced the wholesale-market launch of its first commercial green-energy product, Green Log™ -- fireplace and campfire logs manufactured from Giant King Grass. Green Logs are targeted initially for the US market. For more information, click on the Products tab on the home page.